Hello friends, Today I'm going to tell you about a awesome website through which you can easily download videos from Facebook, twitter, Youtube, instagram or say any other online video. The best thing about is that you don't need to download any software for that or have to install any extension. Watching online videos on smartphones are getting popular these days. While listening to music still stays as one of the most favorite things. And what if we want to download these videos. 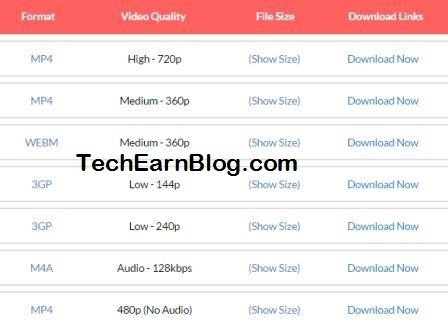 There are so many download manager available by which you can download online video. But sometime they won't work. 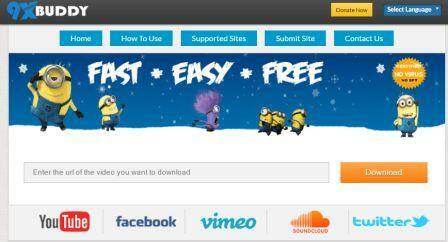 So today I'm sharing a simple method by which you can use to download online videos easily. This can be used to download any online videos like video from facebook, twitter, youtube, instagram etc. >>Trick To Download Instagram photos and videos on android. About 9xbuddy : 9xbuddy is actually a website or we can call it an online downloader which makes downloading from the internet convenient and simple! Hundreds and thousands of websites have been submitted on 9xbuddy which are related to videos and audios. 9xbuddy support almost every website on the internet. 1. Go to the website 9xbuddy.com in one tab. 2. 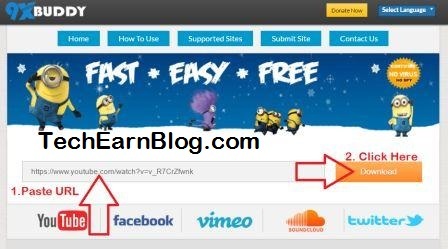 On the other tab, Open the website from where you want to download the video and copy the video url. Example: If you want to download video from youtube then just go through the video which you want to download and copy that video url. 3. Now paste the copied url on 9xbuddy in the section ”Enter the url of video you want to download”. 4. Then click on download. It will create download link for you. 5. Now just choose the format and video quality and click on "Download Now". Boom!! Your video is going to start. >>Top 7 Best Free Online Games - Play Today!. By using these tips and tricks you don't need to do copy or paste. You can download directly. Get links to download the video. View video on any site. That’s it, Hope you like this trick. The method is 100% verified. If you face any issues then comment below. I will try to resolve that issue.